Ukrainian president will first meet with Trump. On June 19, President Petro Poroshenko left for a working visit to the United States of America. President's press man, Svyatoslav Tsegolko, said Poroshenko will meet with US President Donald Trump. In late 2016, deputy head of the presidential administration Kostyantyn Yeliseev said the meeting between the presidents of Ukraine and the US, Petro Poroshenko and Donald Trump could take place in February 2017, which did not happen. 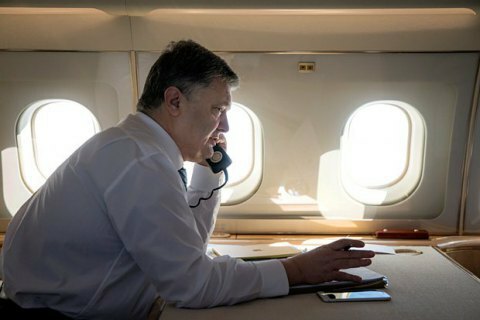 On 15 November last year Poroshenko first talked with Trump on the phone. He congratulated the US President on his election to this post and invited him to visit Kyiv. The first meeting between Trump and Russian President Volodymyr Putin is expected only in July at the G20 summit in Hamburg.